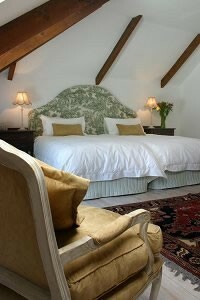 Experience gracious winelands-hospitality in our lovingly restored 1904 Victorian homestead in the heart of Franschhoek - South Africa's Gourment Capital. 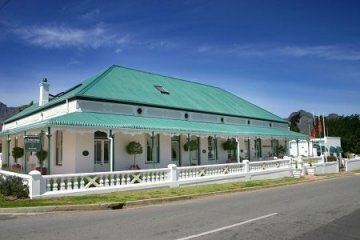 'Le Ballon Rouge' is one of the original traditional Western Cape homes. 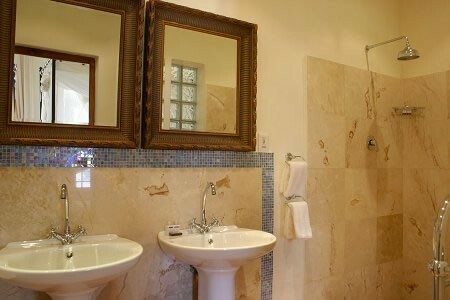 Completely renovated and extended into a charming small boutique guest house, it offers great hospitality and deluxe comfort. 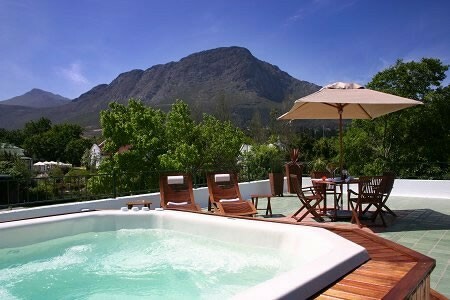 Surrounded by the old vineyards of Franschhoek Valley, this carefully restored Victorian home has an outdoor pool and a private sun deck. 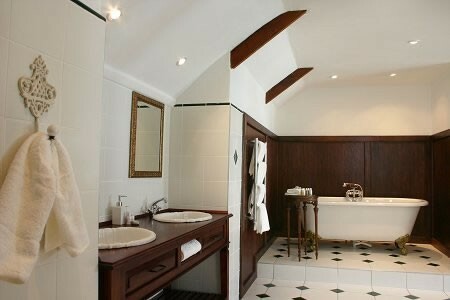 Le Ballon Rouge offers 10 stylish, individually decorated and comfortable rooms all with en-suite bathrooms. 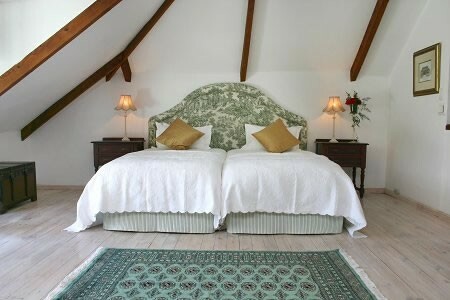 The bright and airy rooms feature wooden furnishings and marble bathrooms. Wi-Fi is available in all public areas and is free of charge. A modern spa caters for complete relaxation and tranquillity, or enjoy a glass of Franschhoek's award-winning wines in our cosy lounge. Guests can enjoy a continental breakfast every morning. Light meals can be served and we can provide more elaborate dining for groups with 24 hours prior notice. 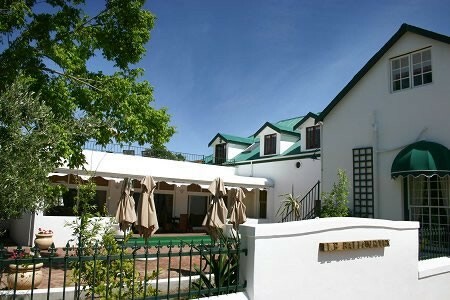 Le Ballon Rouge is a perfect base to explore the Cape's celebrated wine estates. 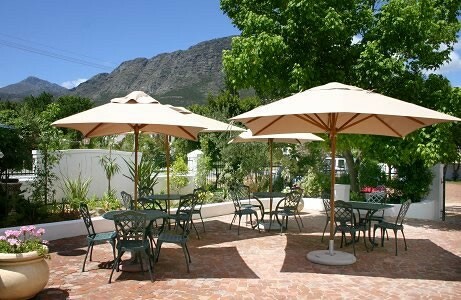 Guests can also enjoy the many galleries, bistros and antique shops of the Franschhoek village. Dine out at one of the many world-class restaurants. Visit a wine farm offering an exquisite range of Franschhoek wines. 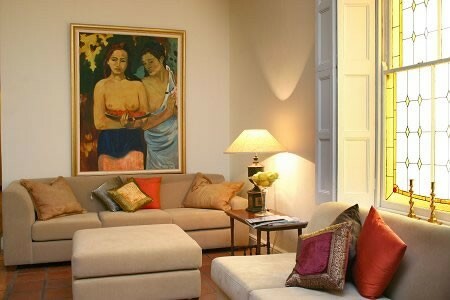 Enjoy a walk through town and experience the art galleries, shops and restaurants. Take a wine tour on horseback. Enjoy the indigenous fynbos while hiking on the Cat se Pad or one of the many other mountain trails. Play golf at the nearby Jack Nicklaus Pearl Valley golf estate. Take a helicopter ride or paraglide over the valley and experience unsurpassed views. Go fly-fishing. Play boules at the courts in the village. Go cycling in the mountains. Sample the local cheeses and French cheeses. Walk "the long walk to freedom" from the prison where Nelson Mandela was released. 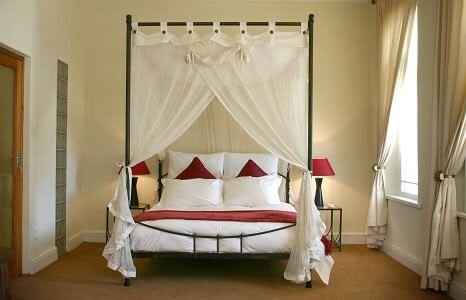 Experience Achim von Arnim sabrage at La Cabriere estate. Enjoy live jazz on Friday evenings at the Vineyard Brasserie.